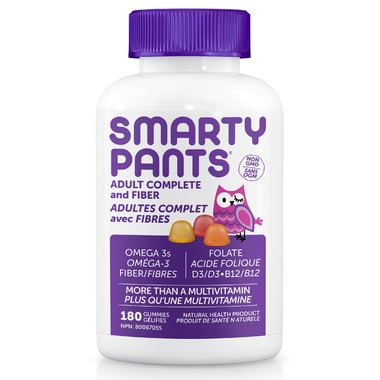 SmartyPants Adult Complete Plus Fiber is more than just a multivitamin, with fourteen essential nutrients, including prebiotic fiber, and omega 3 EPA and DHA fish oil – all in one. These are pretty good but I am irked by a few things: 1)They have a denser consistency than a regular gummy with a shellac-ish covering and 2)An insane dosage of 6 per day. Having said that - they do provide more minerals than regular multi's. 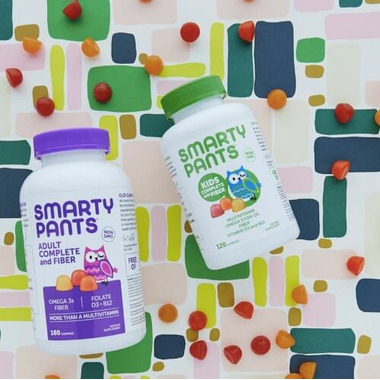 *Be aware they do recommend taking them separate from other meds/supplements. For these reasons I probably wouldn't buy them again.